Believe in yourself quotes: I will not stop. I will not be stopped. It doesn’t matter what you’re going through, don’t let anything stop you from moving forward. Don’t let anything stop you from achieving your goals, from turning your dreams into reality. This “I will not stop. 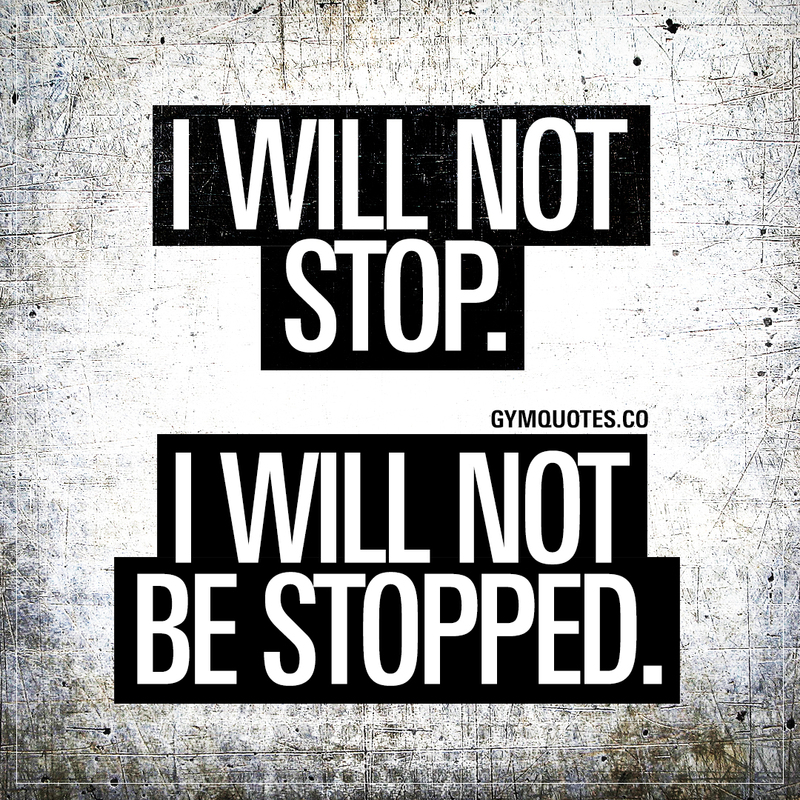 I will not be stopped.” quote (image and text) is copyright © Gym Quotes 2018. All rights reserved.